Fire, heat and smoke can destroy a business in 30 minutes. So why take the risk when for a relatively small outlay vital paper documents and digital and tape records can be so easily protected from the danger of a fire? 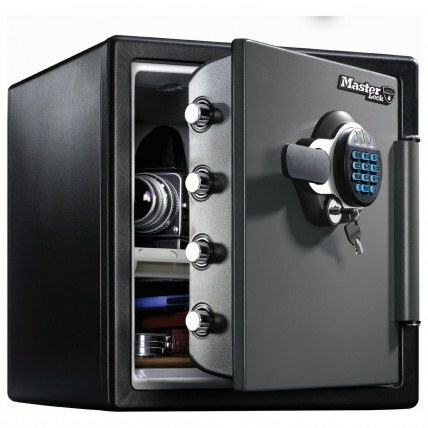 Safe Options can supply safes that are both fireproof and waterproof and independently certified filing cabinets and data safes that will save your vital documents or back-up computer data from being just charred remains. If you need help to decide what is best for your business? Then call our friendly team now. 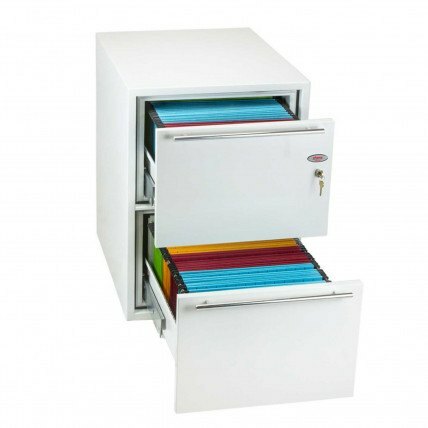 The best way to guard your forms and papers from the elements is to keep them in a quality fire safe. 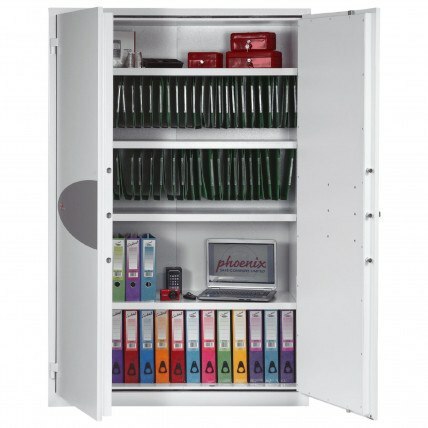 Do you know how a fire safe and fire cabinet differ? That’s the first step in identifying what’s right for you. Read on to learn more. 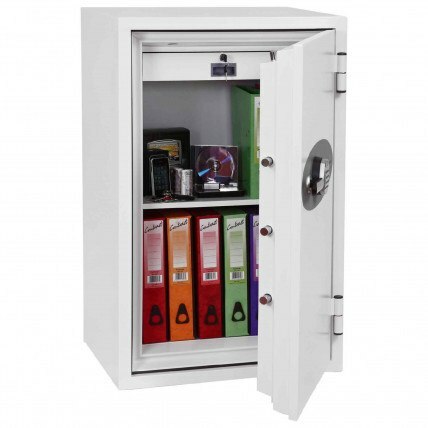 Fire safes provide the best protection from fire, heat and smoke damage for your valuables. These safes are built to keep internal temperatures below 170 degrees, allowing your important documents to survive a house fire and giving you piece of mind. We've put together this informative FAQ to help you learn more about them. What type of fire safe should I choose? 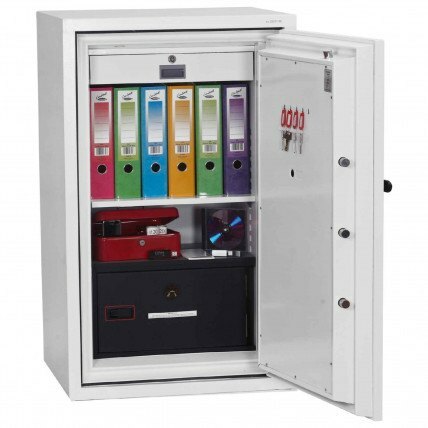 For storing important documents such as deeds, birth certificates or exam papers, a fire document safe is an ideal safe for your home, school or business. 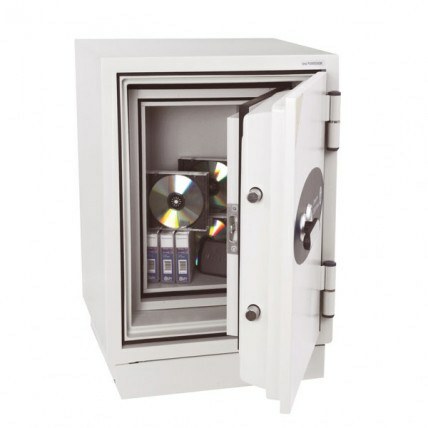 Fire data safes on the other hand, are designed to store external hard drives and plastic computer media like back-up tapes and DVD's etc. Remember to check for the fire safes rating to see how long it can keep your valuables intact in the event of a blaze. To begin with, ask yourself what items you want stored away. Remember that is it not just jewellery that should be secured. Official paperwork such as a birth certificate, house deeds or your passport will need protection from fire and smoke damage. You should also consider securing computer equipment (portable hard-drives and DVD's etc.) as they would be at risk of irreparable damage in the event of a house blaze. The idea here is to strike a balance between your budget and increased security. Generally the more you spend on a safe, the more secure it will be. 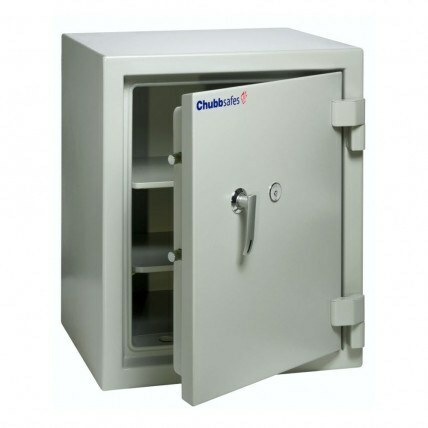 Ideally you should choose a safe that meets the fire resistance level you require and then spend as much as you can afford. 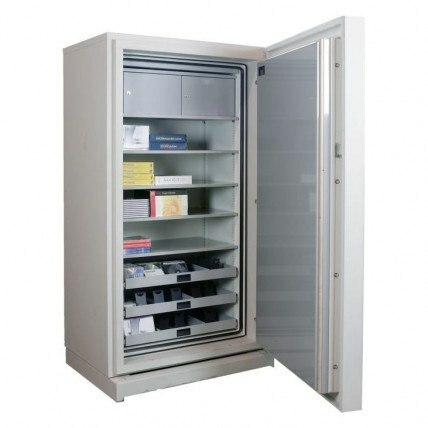 Make sure that this safe meets the specification you need - for paper or plastic media. Where is the best location for my fire safe? There are obviously physical constraints as to where you would want to locate your fire safe, but otherwise they can be placed where it suits you. Remember Fire safes are built principally to protect from fire - not from burglary. The majority of fire safes cannot be bolted down without destroying the firte resistance. Some models can be bolted down, but their fire resistance is impaired, although they wiill still offer plenty of protection. Can a fire safe also be a waterproof safe? Fortunately, a fire safe can be waterproof and there are currently two models on the marketplace that fit the bill. 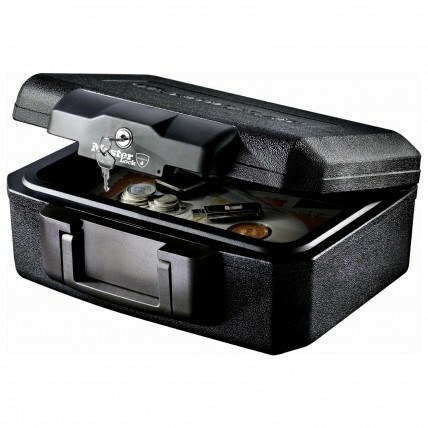 The Master Lock LFW-123FTC 60 minutes Fire Safe is both fire and water resistant, keeping your documents secure until the fire brigade arrives. Most other models offer water sprinkler or fire hose resistance after a fire as the thermoplastic seals fitted around the door secure the safe due to the heat from a fire.